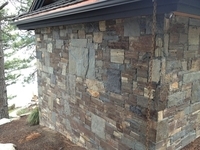 NOT cultured stone but REAL STONE now available in THIN VENEER! 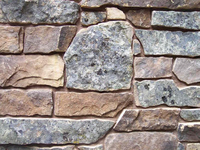 There are companies that actually saw the real stone into thin veneer products that can be applied like fake/cultured stone including 90 degree corners! 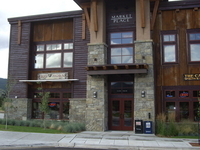 Weight per square foot ranges from 11 lbs up to 15 lbs which is heavier than most phony stone but a fraction of the weight of full dimension natural stone!